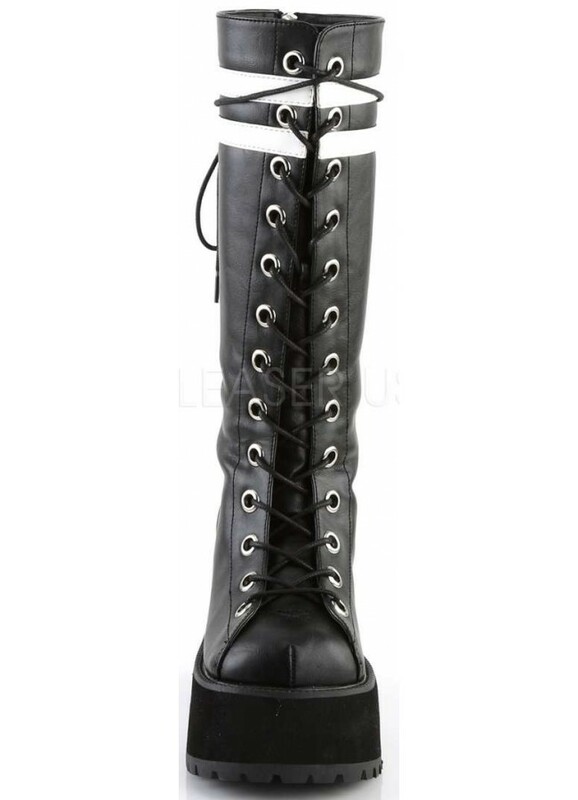 Dual white stripes top these faux leather knee high combat boot for me with a great 3 3/4 inch platform heel. 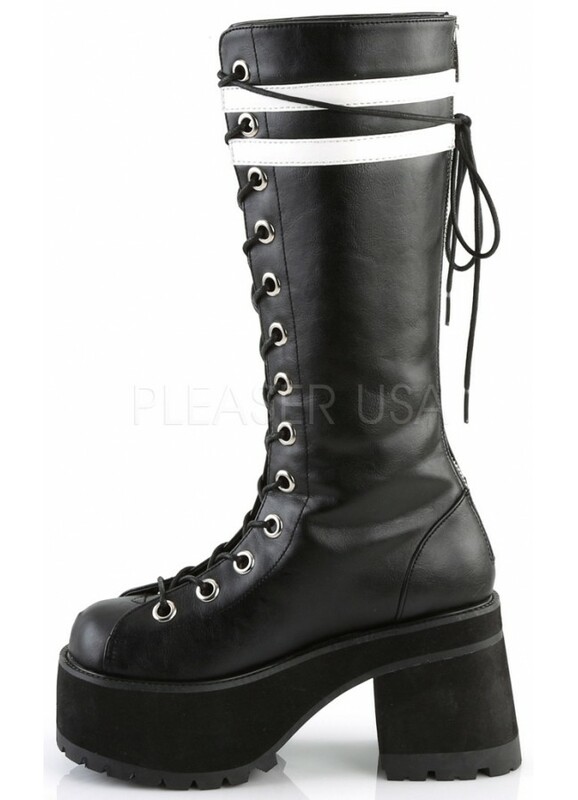 Black vegan leather boot have a 3 3/4 inch platform heel and lace up front with 2 white stripes at top. Full back zipper for easy on and off. 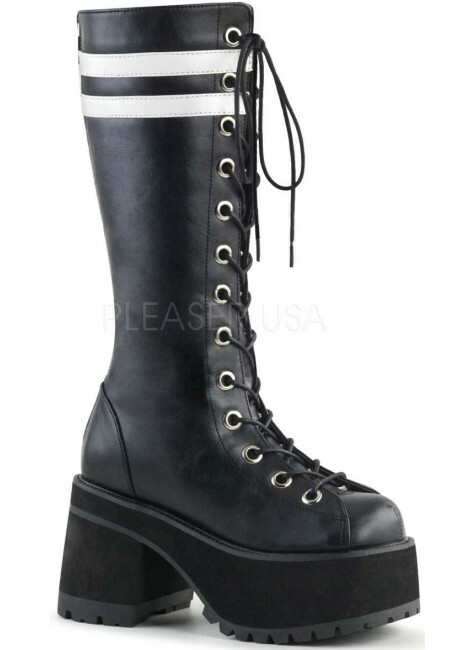 All man made material with a padded insole and non-skid sole. 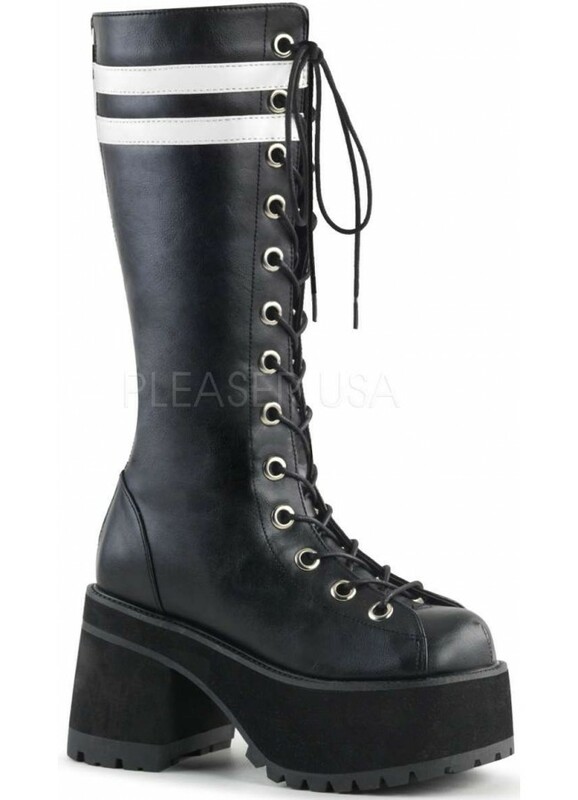 Item Number: PL-RANGER-320 | Approximate Size (Inches): 10.00 wide x 18.00 deep x 8.00 high | Approximate Shipping Weight: 6.50 lbs.